We manufacture and export stainless steel olets and our range includes 15 NB to 100 NB in 3000 LBS, 6000 LBS, 9000 LBS available with NACE MR 01-75. High quality olets in different sizes and specifications with wide range. 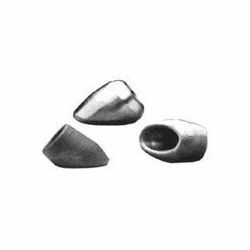 We can manufacture olets as per drawings. Range : 15 NB upto 100 NB 3000 LBS & 6000 (Sockolet / Thredolet / Nippolet / Elbolet / Insert Weldolet / Branzolet & Coupolet), 6 NB upto 600 NB (Weldolet / Sweepolet) SCH 5S, 10S, 10, 20, 40S, 40, STD, 60, 80S, 80, XS, 100, 120, 140, 160 & XXS.